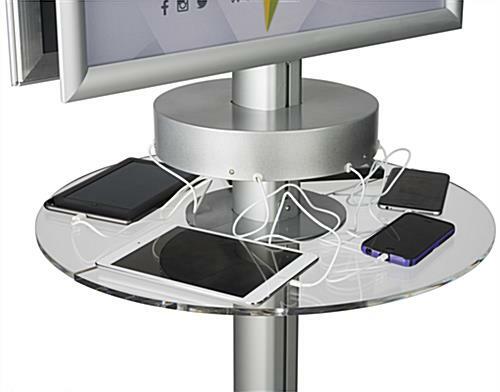 Intuitively crafted, this phone charger kiosk features a six port USB hub with a mobile device shelf supported by a modern design. 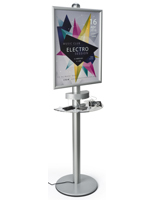 The double sided fixture is capable of displaying (2) 22” x 28” posters that can be customized by you to cater directly to the public. 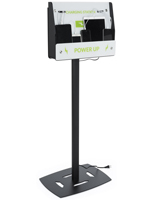 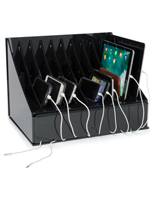 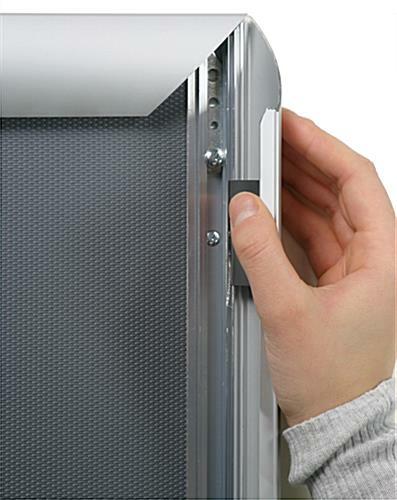 To use the tablet charger kiosk, passersby must simply place their mobile device on the acrylic shelf and plug into one of the six swappable power cords. 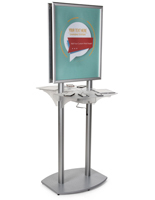 Each unit features durable steel and aluminum construction that is finished with an anodized silver coating for a pleasing look that blends well in most settings. 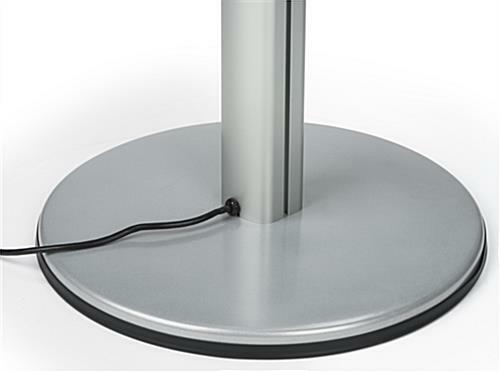 Additionally, the base of the charger kiosk is lined with a rubber casket along the edge to prevent scratching floors. 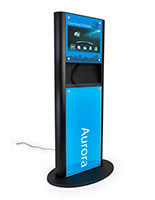 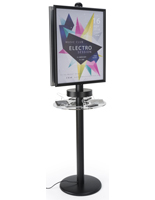 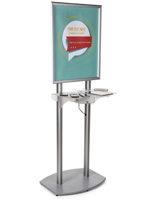 Utilize a floor standing fixture such as this to provide power to the public while advertising at trade shows, malls, and other retail environments. 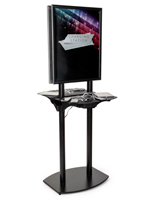 23.8" x 75.0" x 21.5"